Your name matters. It really does. No one likes to be called “hey, you” or perhaps worse called nothing at all. I met several “hey, yous” this past week on a business trip. The airport janitor. The doorman. The porter. The hotel gardener. The hotel maid. And then I met Maria. Contrary to the classic song from the “Sound of Music,” Maria is not a problem. She’s quite the opposite. She’s friendly. Efficient. Pleasant. Kind. Accommodating. Personable. Maria is the best barista I have ever encountered. 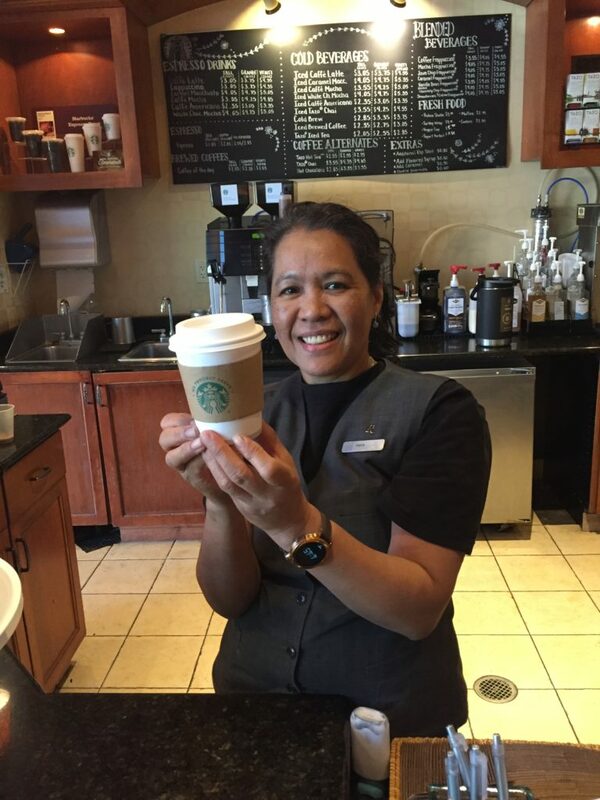 Maria runs the Starbucks café 2 – 10 p.m. in the Phoenix-area hotel where I stayed. Maria is not a problem at all. The problem is people like me who get too busy to notice Maria and all the other hard-working individuals who serve millions of us in everyday life. The trash guys. The gas station attendant. The store stock clerk. This week, I watched people confuse Maria’s name. They’d march up to the counter and instantly call her “venti-doubleshot-whole-mo’whip-latte” or “grande-regular-halfsweet-mocha-frap-and-blueberryscone.” These customers failed to look at Maria’s nametag or her winsome brown eyes. Instead, like programmed automatons they rattled off their order and flicked their credit card. Order. Swipe. Next. Order. Swipe. Next. I met Maria Tuesday evening and she opened a mini honey bottle just for my latte and wrapped the leftover honey in the jar in a paper bag so I could take it to my room. Thoughtful touch. I sat down at a table near the counter and just had a little conversation about the weather, the Arizona teacher’s strike, whatever came to mind. You talked with me. You sat down. [Hand me a tissue, please.] I was just being me chatting with Maria. But apparently most customers only speak order dialect to her. “Venti-doubleshot-whole-mo’whip-latte.” They pay and leave. Conversing with Maria while I sipped my latte and she worked behind the counter, I learned a lot about this even-keeled barista. She and her husband used to live in Colorado Springs. She has a Welsh corgi who doesn’t like to exercise. Next month Maria and her husband will fly to Virginia to visit friends. 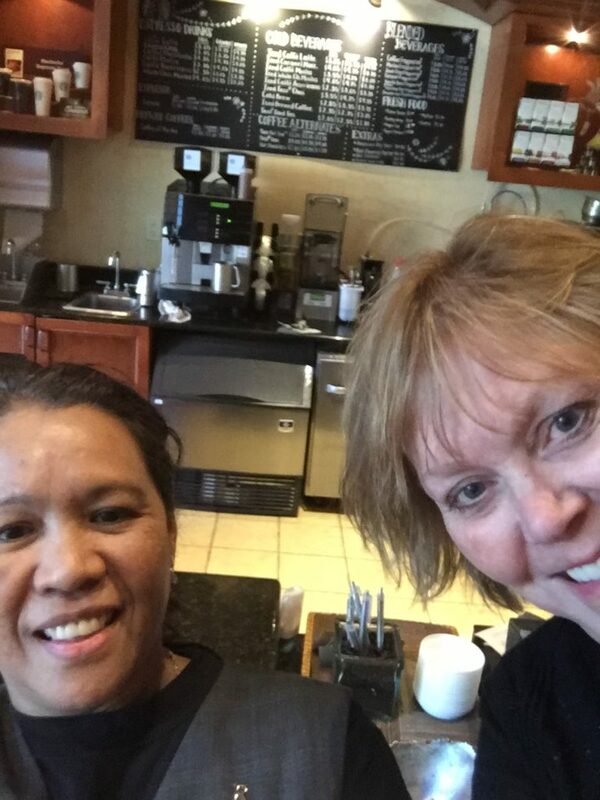 And when they do, I bet Maria warmly greets the airport janitor and every Starbucks barista by name. Your name matters. Maria’s name matters. It really does. No one likes to be called “hey, you” or grande-regular-halfsweet-mocha-frap-and-blueberryscone. And HE calls us by name. God even knows the names of the stars!!! Love this article!!! Sandra, isn’t it such a joy to know that God does know our names and numbers every hair on our head. And He names all those stars and knows when one falls toward Earth. Thank you for pointing us to God’s tender care for all His children. I luv this! Such a reminder that God wants us to take time to call others by their God given name and to spend time with them in our hurried world! Thank you for the reminder as I know I needed it! Thanks for your wise words, Terry. We can all get so wrapped up in our to-dos that we overlook those around us…even our own family and friends. I needed my time with Maria to remind me to be sure to regard every person with value and respect. On this trip, I said “hello” and “thank you” to a number of airport janitors. What a gentle way to remind us people are ALL important, Beth. Thanks. Thank you, Nancy. I wrote this post as a reminder for myself too. When Maria immediately remembered my name the next day, that really stuck with me. People do notice if we learn their name and acknowledge them.